Sean Suder is a go-to adviser to both private and public-sector clients on all legal matters related to the development and use of real property, including, specifically, zoning, acquisitions, dispositions, leasing, title and survey matters, and easements and licenses. Sean is a frequent author and speaker on matters of real estate and zoning and is regularly hired by lawyers and law firms to serve as an expert witness in zoning cases. Sean has worked on developments in both suburban and urban settings, including numerous urban infill and historic redevelopment projects. 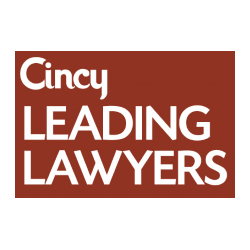 He gained extensive knowledge and experience in local government by serving as Chief Counsel for Land Use and Planning for the City of Cincinnati from 2010 to 2014. In that role, he served as lead counsel for the city’s new zoning and land development code and award-winning historic preservation ordinance. Sean also represented the city in all land use, zoning and historic preservation matters, including representing and advising the Department of City Planning, the City Planning Commission, the Historic Conservation Board, Board of Building Appeals, and the Zoning Board of Appeals. Sean founded and leads Calfee Zoning, the firm’s zoning and land use consulting affiliate. In this role, Sean works with communities to craft clear, consistent, usable, and defensible zoning codes and ordinances. He also has developed a new zoning methodology known as a Development Pattern Districting (DPD). Sean is a licensed title agent in the State of Ohio. Sean speaks frequently on topics of zoning, including at local, regional, and national conferences and has been published and quoted on matters of commercial real estate as well as land use and zoning.